The Lapangan Banteng Flora and Fauna expo, Central Jakarta and Ragunan Zoo, South Jakarta are prepared to become a tourist destination for Asian Games athletes later.
" At Lapangan Banteng Flona expo, the athletes will be hosted by various types of plants. 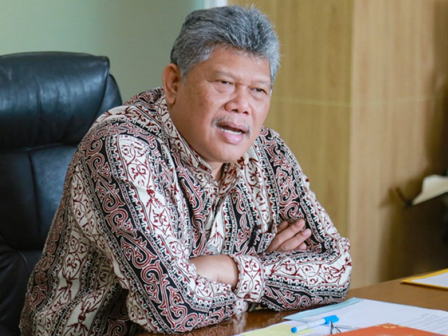 In Ragunan, they can see the parade and animal attraction"
Assistant for Jakarta Development and Environment, Gamal Sinurat said both will add to existing tourist destinations, such as the Kota Tua area, Ancol and Seribu Islands. "At Lapangan Banteng Flona expo, the athletes will be hosted by various types of plants. In Ragunan, they can see the parade and animal attraction," he expressed, Thursday (4/12). To further enliven the Asian Games, the Jakarta Provincial Government also involves malls and other modern shopping centers to sell various types of souvenirs such as t-shirts, bags, key chains, dolls, etc. "By so, it is hoped able to increase tourist visits and economy in Jakarta," he said.